You'll be £19.99 closer to your next £10.00 credit when you purchase At Leningrad's Gates. What's this? 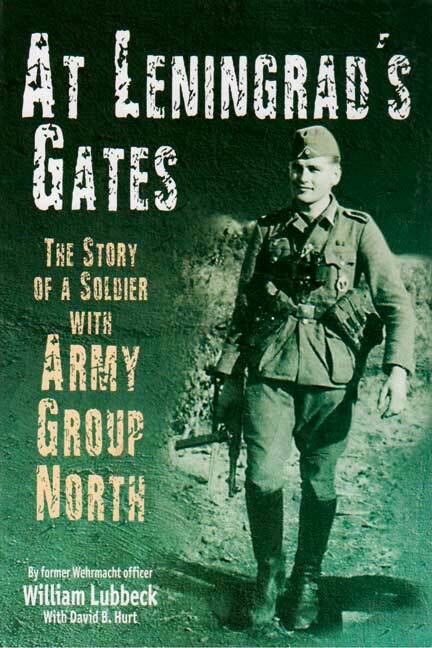 This is the remarkable story of a German soldier who fought throughout World War II, rising from conscript private to captain of a heavy weapons company on the Eastern Front. William Lubbeck, , was drafted into the Wehrmacht in 1939. As a member of the 58th Infantry Division, he received his baptism of fire during the 1940 invasion of France. The following spring his division served in Operation Barbarossa. After grueling marches, Lubbeck's unit entered the outskirts of Leningrad, making the deepest penetration of any German formation. The Germans suffered brutal hardships the following winter as they fought both Russian counterattacks and the brutal cold. The 58th Division was thrown back and forth across the front of Army Group North, from Novgorod to Demyansk. In September 1943, Lubbeck earned the Iron Cross First Class and was assigned to officers' training school in Dresden. By the time he returned to Russia, Army Group North was in full-scale retreat.